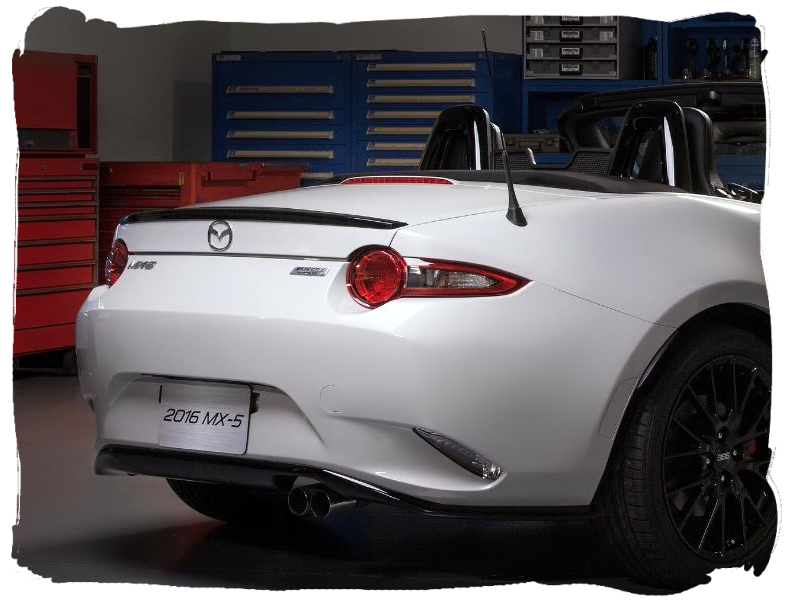 The MX-5 has a long history of factory optional extras available to owners. Mazda knows that roadster fans worldwide love to customise and modify their cars and the latest model looks set to continue this. 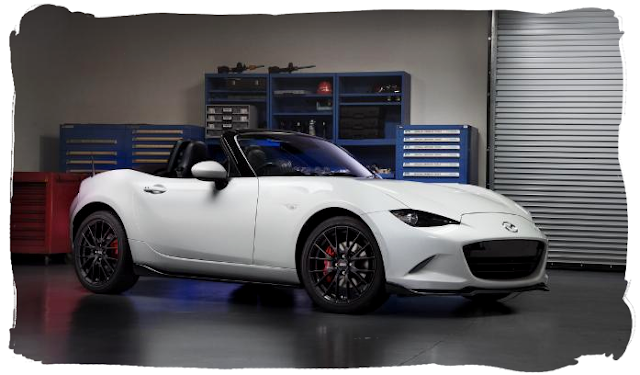 A design concept of the ND featuring some as yet unconfirmed styling accessories was shown at the 2015 Chicago Auto Show. The concept car is presented in Ceramic White Metallic matte finish (a shade previously used on other Mazda concepts) and features a small bootlid lip spoiler in contrasting black. There is also a rear diffuser-style trim piece that extends the length of the underside of the rear bumper. 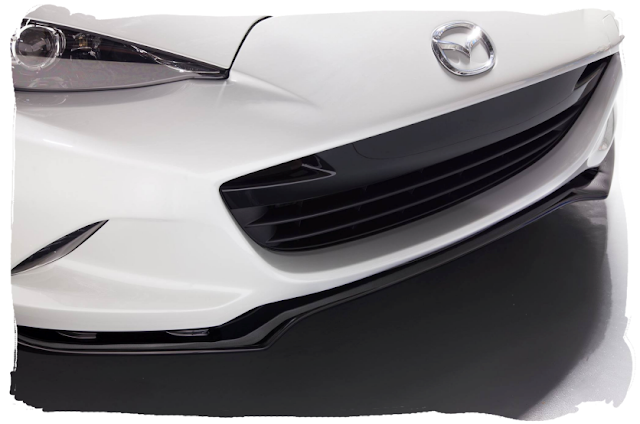 A front lip spoiler and subtle sideskirts are also fitted, again in contrasting black. The aero kit itself is the same as that previously seen on the Global Cup concept car. It's not too drastic in design, just enough to lend the car a more purposeful look that I think will prove very popular. Black BBS forged alloy wheels replace the originals, again similar to Global Cup, I wonder if these will be an official option? The wheel size is 17x7J with a 45 offset, behind which sit bright red Brembo brake calipers. 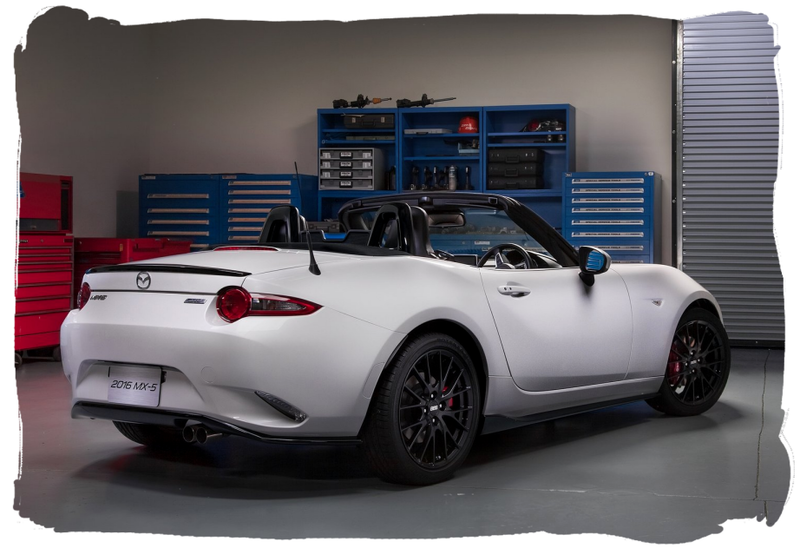 It would be really cool if this kit did become available to the general public, hopefully it will get enough of a positive response at the show to convince Mazda to go ahead with it. No word yet on whether there will be a Mazdaspeed branded bodykit available on release like there was with the NC, but fingers crossed for something similar. 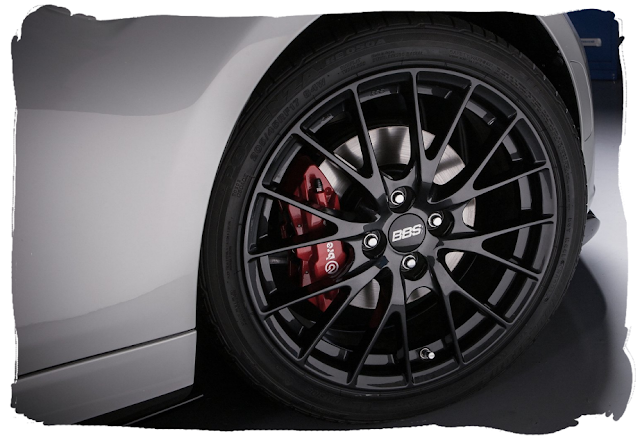 A Mazdaspeed branded Brembo brake upgrade was available for the NC so it's possible a new version of this is planned. A luggage rack for the bootlid was also on display, it features an integrated brake light and is made of carbon fibre. UPDATE: It has been confirmed some of these parts will be included on the USA Club models. These cars will feature the rear lip spoiler and front airdam as standard. The side skirts, rear under skirt, BBS wheels, and Brembo brakes will be included in an option pack.